An elderly California man has been charged with defrauding donors out of more than $250,000 sent to sham political groups and websites for Beto O'Rourke, Bernie Sanders and other prominent Democrats, prosecutors said Tuesday. John Pierre Dupont, 80, is accused of setting up at least three bogus political action committees, or PACs, and several websites that purported to be raising money for roughly 10 individual Senate candidates, a candidate for governor and for progressive causes, according to a criminal complaint. Instead of passing along the cash to the candidates or campaigns, Dupont used it to pay his rent, a parking ticket, and to cover the costs of a $25,300 Mercedes-Benz sedan, according to prosecutors with the U.S. Attorney's Office in the Southern District of New York. 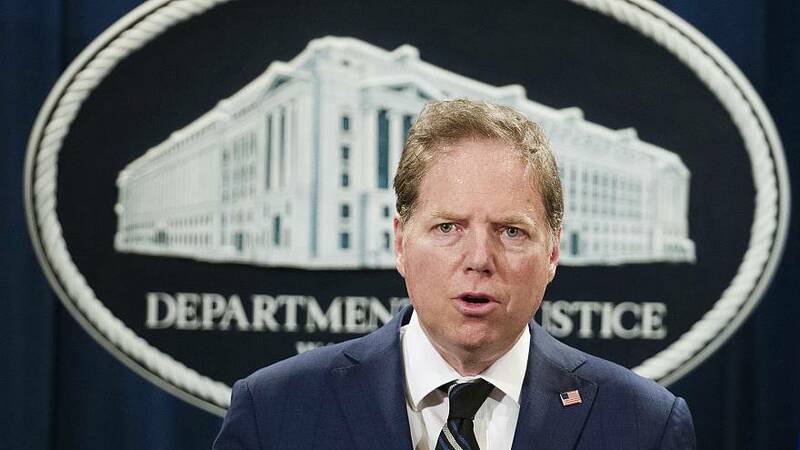 "As alleged, John Pierre Dupont operated multiple fake political action committees and falsely claimed to be raising money to support more than a dozen campaigns," said U.S. Attorney Geoffrey Berman. "Thousands of donors believed their hard-earned money was being used to support the causes described in solicitations, but in reality, the scam PACs had no operations beyond the fundraising itself, and no funds were used to support candidates." Attempts to reach Dupont, who has allegedly been carrying out the scheme since 2015, were not successful. A fraudulent website was set up to look like it was in support of Democrat Beto O\'Rourke\'s Senate campaign. 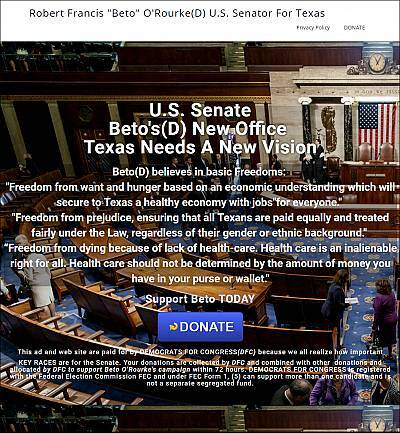 The websites Dupont created included Beto4Senate.org, Sanders2016Campaign.org, GillumForFloridaGovernor.org and ImmigrantChildrenUnited.org, according to the complaint. Dupont posted messages on the sites designed to pull at the heartstrings of progressive donors. "Our volunteer attorneys, doctors, nurses and social workers are working day and night to liberate these children," read the immigrant children united website. "Donations will go to help pay our volunteer attorneys', doctors', nurses' and social workers' costs and pay for transportation to unite immigrant families." The Sanders site read: "EVERY TIME WE PROCESS YOUR CREDIT CARD DONATION, THE BIG BANKS TAKE UP TO 40% OF THE DONATIONS JUST FOR PROCESSING YOUR CREDIT CARD DONATION...THAT IS WHY WE ARE GIVING YOU THE OPTION...TO MAKE YOUR DONATIONS IN CASH OR CHECK." The court papers say that nearly all of the more than 1,000 donations to the scam PACs and websites were in fact pocketed by Dupont. Dupont, who was charged with wire fraud and identity theft, failed to report the donations to the Federal Election Commission as required by law, or direct them to the campaigns or causes that the websites and organizations purported to champion, according to the complaint. Dupont faces up to 22 years in prison if convicted on both charges, prosecutors said. There's no indication that the campaigns or candidates had any knowledge of the scheme, prosecutors said.